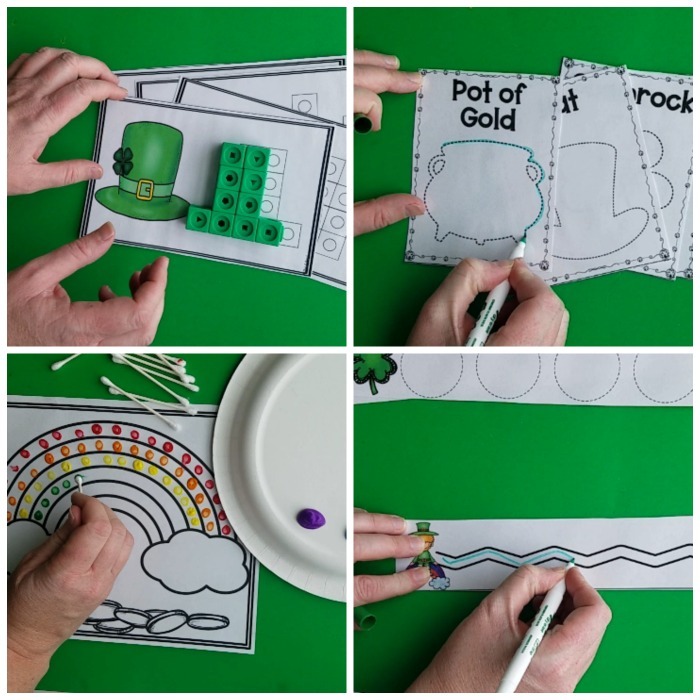 St. Patrick’s Day fine motor skills activities pack. 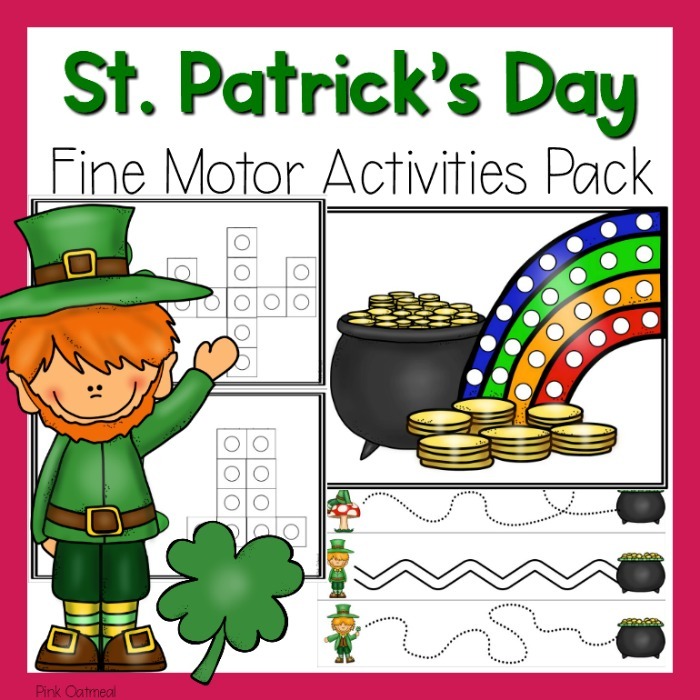 Fun activities that work on building fine motor skills all with a St. Patrick’s Day theme! 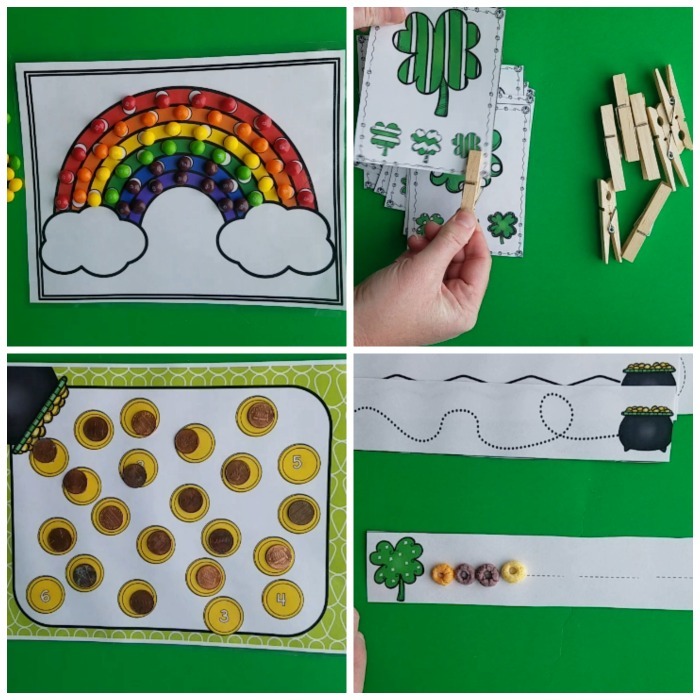 Imagine how great it would feel to have all of your St. Patrick’s Day Fine Motor Activities created and ready to use! 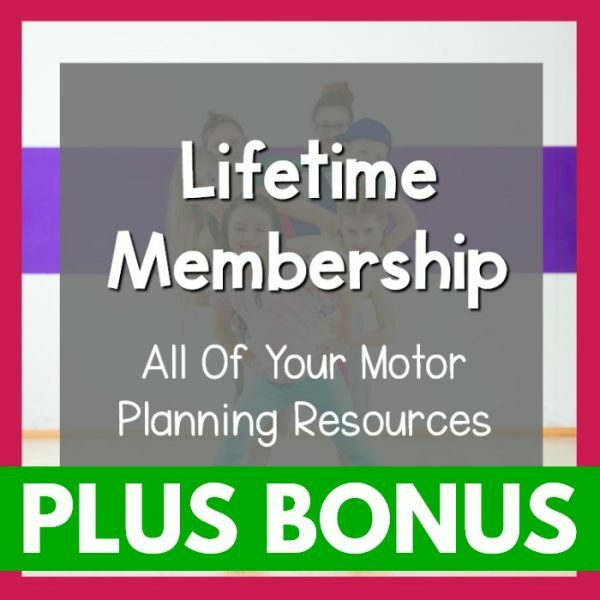 Not only will it all be done for you, but you could feel confident knowing that your kids are having fun working on fine motor activities! You will have fine motor activities for St. Patrick’s Day that you and your kids love. 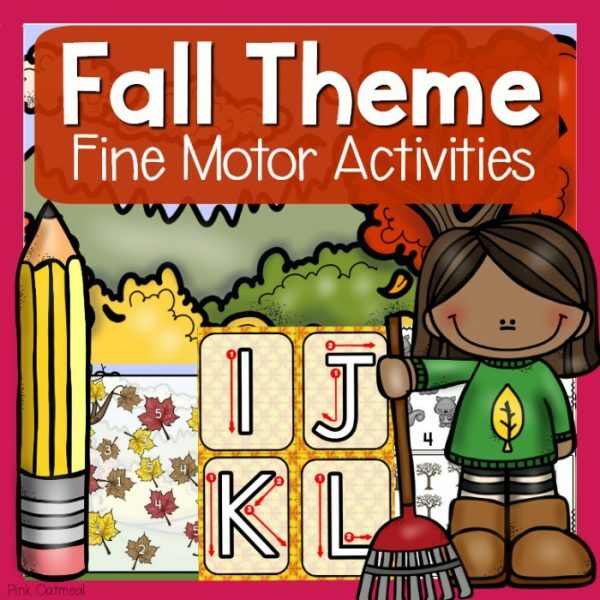 You will have fun activities perfect for your classroom, home, or therapy session. 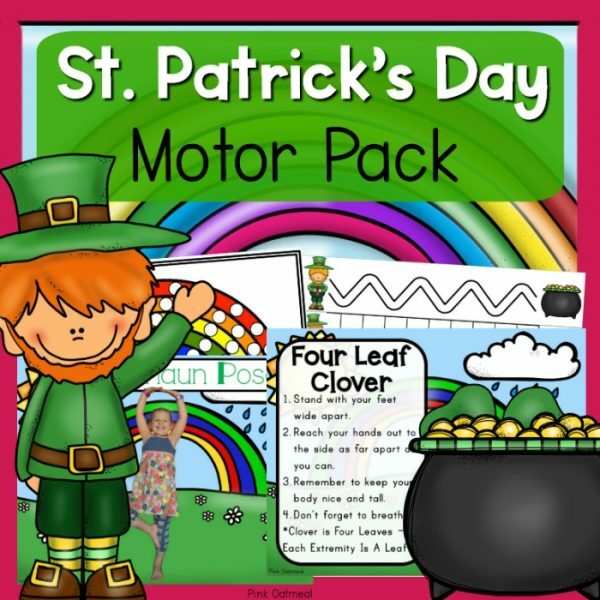 You will be saving time, money, and effort when purchasing the St. Patrick’s Fine Motor Pack today! 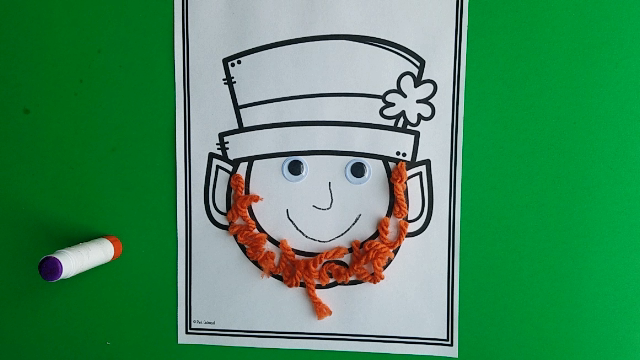 Click on the video to see the St. Patrick’s Day Fine Motor Activities in action. 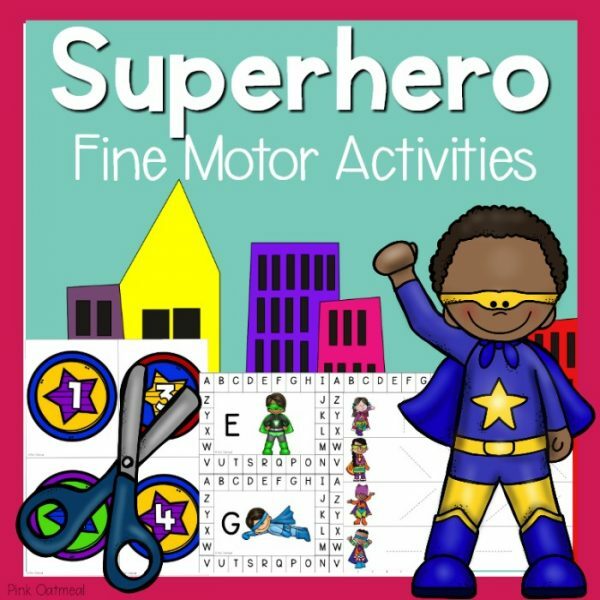 They are great for use in the regular classroom, special education room, home, after school programming and occupational therapy. 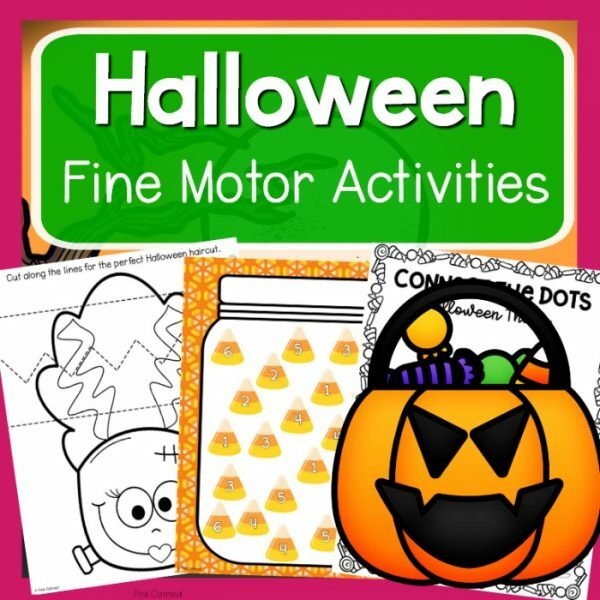 Use them for centers, busy boxes, to work on fine motor skills. Use this pack the entire month of March!